After more than a year of renovation to complete a formerly unoccupied and unimproved space at the Taubman Museum of Art in Roanoke, Virginia, the new gallery space opened in March 2016 with a large exhibition of works by the legendary American artist Norman Rockwell. If you’re a fan of this iconic American artist, plan to visit the Taubman soon as the exhibit will only be there through Sunday, June 12. Works by the beloved 20th century painter and illustrator are showcased in American Chronicles: The Art of Norman Rockwell, which was organized by the NormanRockwell Museum in Stockbridge, Massachusetts and includes original works from its permanent collection. Rockwell created images reflecting the lives, hopes, and dreams of Americans in the 20th century. The Taubman exhibit chronicles Rockwell’s career of 65 years and highlights his unique artistic legacy that profoundly influenced American perceptions and ideals. 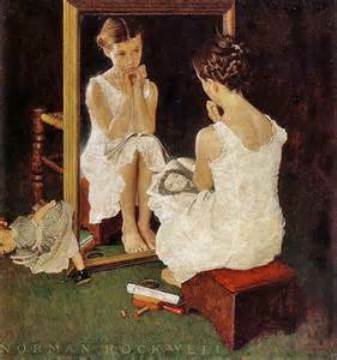 It includes such beloved images as Triple Self-Portrait (1960), Girl at Mirror (1954), Going and Coming (1947), and Art Critic (1955) as well as preliminary sketches, Saturday Evening Post covers, photographs, color studies, and detailed drawings. 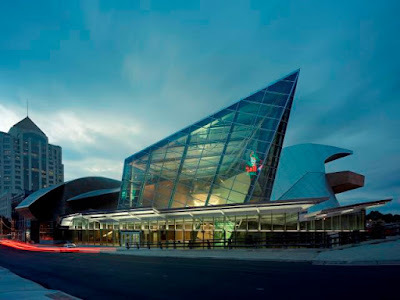 Although the museum’s unique design of soaring glass panels created a stir when first introduced to the community in 2005, residents now love that Roanoke’s most contemporary structure has brought the city into modern technology-driven times while still paying tribute to the region’s roots by focusing on American and folk art. Tickets: Adults--$12.50; seniors and college students--$10.50; Children ages 9-17--$8.50. Museum hours: Wednesday through Saturday 10am-5pm; Sunday 12-5pm, First Friday, 10 am-9pm.